An incredible stat released this evening confirms just how far the mighty Manchester United have fallen since Sir Alex Ferguson’s retirement back in 2013. Not only was the Scot a serial winner of major trophies during his time in charge at Old Trafford, his sides also had a real swagger about the way they played and always guaranteed entertainment. 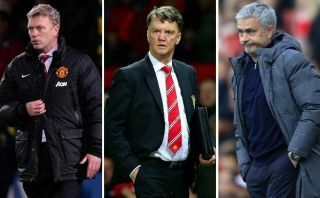 That is certainly no longer the case with some truly drab displays under managers David Moyes, Louis van Gaal and now Jose Mourinho. This evening, United could only draw 0-0 with a struggling West Ham side in what was another dire game to watch after they were also stunned 1-0 by Brighton last week. 19 – Since Sir Alex Ferguson retired at the end of the 2012-13 season, no Premier League team has drawn more matches nil-nil than Manchester United (19, level with Southampton). Dull. Remarkably, this latest result means United have been involved in the most 0-0 draws in the Premier League since Ferguson retired – 19, level with Southampton. It’s a damning reflection of where United are now, and illustrates just how much their fans have a right to expect more from such an expensively assembled squad of big-name players like Paul Pogba and Alexis Sanchez.